The 2018 Goodreads Choice Awards is presented by Audible. 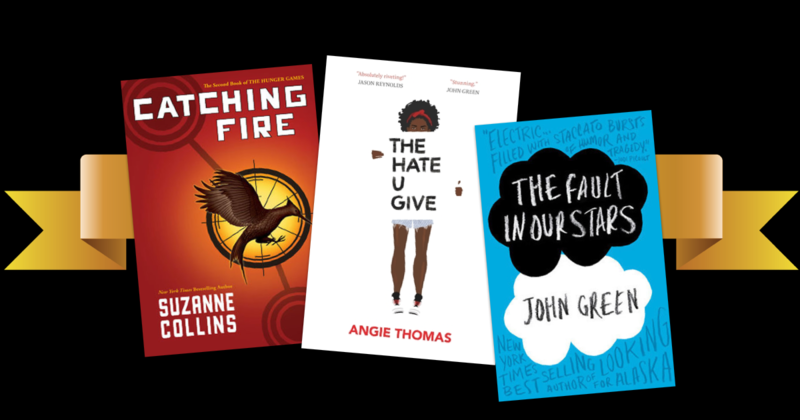 From Katniss Everdeen to Starr Carter, the last decade of YA heroes and heroines has captured the hearts of readers of all ages. Their willingness to take a stand, whether it’s in a dystopian regime or a divided community, not only makes these young teens admirable, but unforgettable. With the 10th annual Goodreads Choice Awards just around the corner, we decided to round up the last ten years of “chosen ones” from the Young Adult Fiction and Young Adult Fantasy & Science Fiction categories. How many of these have you read? Don’t forget to add your favorites to your Want to Read shelf! Nights are the only time Auden can escape the ugliness of her parents’ divorce. Enter Eli, a fellow insomniac who’s running away from problems of his own as he becomes her tour guide to the nocturnal side of town. Katniss barely survived winning the Hunger Games, but the Capitol isn’t done with her yet. Her victory has fueled a growing unrest throughout all 12 districts, and it will be up to her to either stop the fire…or keep it burning. “Cupid Day” should have been the perfect celebration of valentines and roses for popular high school senior Samantha Kingston. Then she dies in a terrible accident, only to wake up the next morning and relive the same day over again. 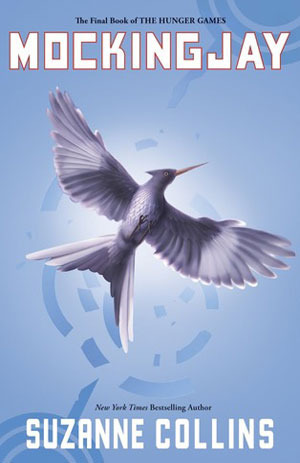 The revolution is drawing to a close, and its success hinges on Katniss' willingness to be a political pawn no matter what the personal cost. 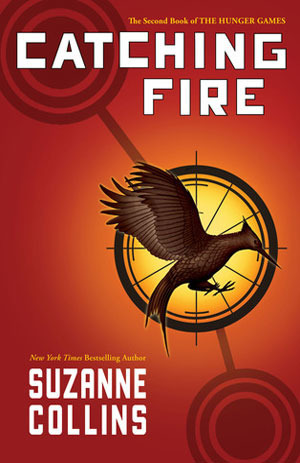 Can she put aside her anger and distrust to change the future of Panem forever? 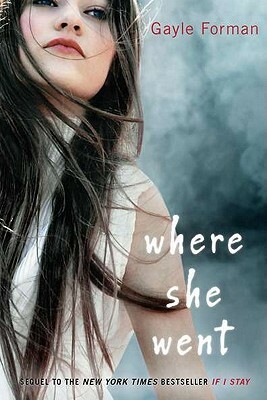 The sequel to the bestselling novel If I Stay takes place three years after Mia walked out of Adam’s life forever. When an encounter in New York brings them together once more, they take a chance to revisit the past and open their hearts. Every year, those who come of age must choose one of the Five Factions that make up their seemingly perfect society. 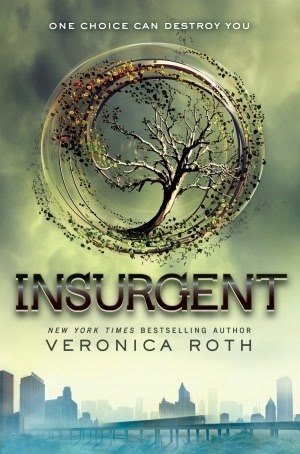 It’s an initiation that changes everyone—Tris Prior, most of all. Her choice will determine not only her status, but also her survival. Hazel already knows how her story will end. Her terminal illness has defined everything in her life, including its final chapter. At this point, she’s not expecting any miracles…until a gorgeous plot twist in the form of Augustus Waters joins her support group. 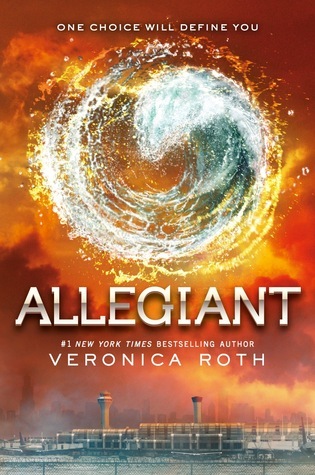 Tris may have chosen her faction, but now she must choose sides in the coming war. The unspeakable horrors of her initiation day have led her to a dangerous crossroads, one where she could lose herself and everyone she loves. They say you never forget your first love. 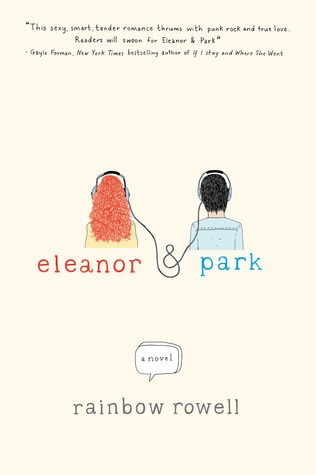 Over the course of a school year, two misfits named Eleanor and Park will learn just what it takes to give someone their heart and what it takes to keep a promise. Society as Tris knows it has been shattered. Now she’s offered a chance to explore the world beyond the boundaries of factions. But will the path forward be more dangerous than the one she’s leaving behind? Among a group of four friends, no one knows who’s telling a lie and no one knows who’s telling the truth. In their world, it’s best to keep your enemies close and your secrets even closer. 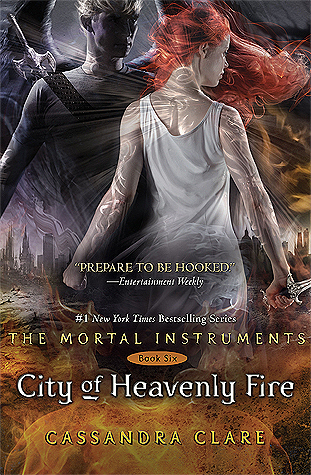 In the final book of the Mortal Instruments series, Clary and her friends face the greatest evil yet: her own brother. With the fate of the world at stake, the Shadowhunters must journey deep into the demon realms, from where no human has ever returned. Theodore and Violet both want to escape their suffering. When they meet on the ledge of the school’s bell tower, it’s unclear who saves whom. All they know is that when they’re together, they can stop counting the days and start living them. 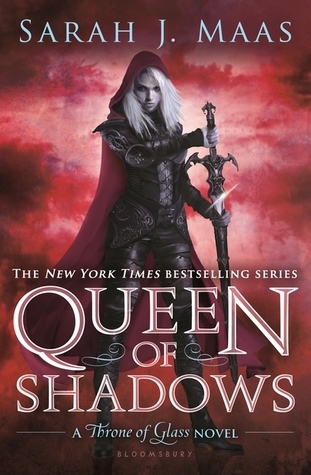 As the rightful Queen of Terrasen, all Celaena wants is to regain everything that’s been taken from her—including her kingdom. To do this, she’ll have to confront the demons of her past and the demons of the court that destroyed her people. Thousands of refugees flee East Prussia as World War II draws to a close. Here the lives of Joana, Emilia, and Florian intertwine as they board the Wilhelm Gustoff. 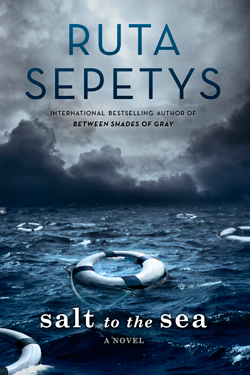 Just as freedom is within their grasp, tragedy changes their course and alters their destiny. 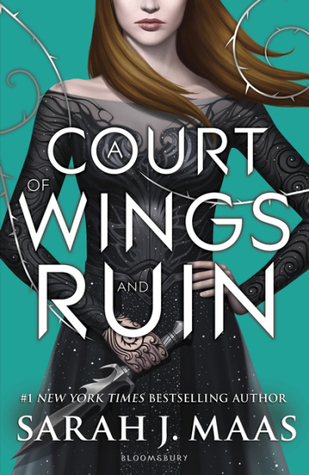 Feyre may have survived Amarantha’s cruelties, but the scars run deep. Though she may have the powers of a High Fae, her heart remains human. Against her expectations, it’s the fearsome ruler of the Night Court who offers to make use of her gifts. Starr Carter belongs to two worlds: her poor neighborhood and the suburban prep school she attends. Her worlds violently clash when she witnesses the fatal shooting of her best friend Khalil at the hands of a police officer. A dangerous king threatens to bring all of Prythian to its knees. 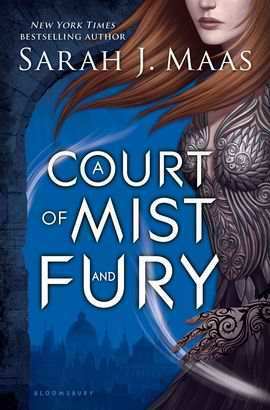 The only thing standing in his way is Feyre and the Night Court. Together they must rally the other High Lords to their cause to save both humans and faeries alike. 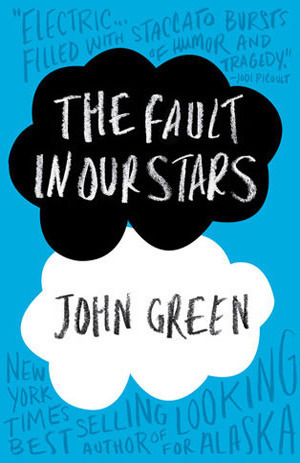 Which YA Goodreads Choice Award winners have you read? Let us know in the comments! Don't forget that the first round of voting for the 2018 Goodreads Choice Awards begins on October 30! How about THE WAR THAT SAVED MY LIFE? Awesome book that my book club just read and passed on to a second book club in the area who also loved it. One of my favorites plus it’s sequel. Haven’t read sequel yet but several friends have and enjoyed it as well. Wow, I've read 14 of these and the rest are on my TBR, except for the Sarah Dessen book. Somehow I overlooked that one. Great list! I'm really surprised by how many of these I've read. Although it makes sense I guess, I am a big YA fan. The only ones I've never heard of are Before I Fall and Along for the Ride. I must remember to read where she went! I have to say I'm surprised that Cinder isn't on there, although I guess that was never quite as mainstream popular as something like the Hunger Games. I just re-read Eleanor and Park and loved it all over again. Asian woman I didn't find it fetishizing or racist. I’ve read 8. I love The Hate U Give, Queen of Shadows, and The Hunger Games!! Love Sarah J. Maas books, my absolute favorites. Strange the dreamer and red rising should be on there, but all the rest I agree with! Eleanor and Park and The Fault In Our Stars boih good books I can recomend. By the way, I resent the genres name. I'm 70 for goodness sake! Furthermore I also love Neil Gaiman and John Greens books I found those before I realized they were called YA! I've read 12 of these! That's true, but I love Cinder and it is pretty popular. Also, I thought that some Morgan Matson books, like Amy and Roger's Epic Detour should have made it on. What I find odd is that many of these books were published years ago. After all, we not talking the best book ever! Love many of these but think we need to be looking at more recent publications. Title of list tells you that these are books from the last decade, so yes, some of them were published 10 years ago! OMG you need to nominate “Beautiful Creatures”, the book has my full attention and it just is wow, wow factor. If any book deserves this award it is “Beautiful Creatures”. I've read 13 and the rest are on my TBR! Kathleen wrote: "How about THE WAR THAT SAVED MY LIFE? Awesome book that my book club just read and passed on to a second book club in the area who also loved it." I think a lot of people consider that book to be a middle grade selection rather than a YA selection. But it is a really good book, I definitely agree with you there. Out of curiousity, how does one vote on such a list? I find the books here applaudable sure, but very slanted in terms of preference. I would have thought the amazing 'Gone' series by Michael Grant would have gotten a mention as well as the 'Steelheart' books by Brandon Sanderson. Francesca wrote: "What I find odd is that many of these books were published years ago. After all, we not talking the best book ever! Love many of these but think we need to be looking at more recent publications." Around mid-November, Goodreads will have users vote on their favorites from the current year. 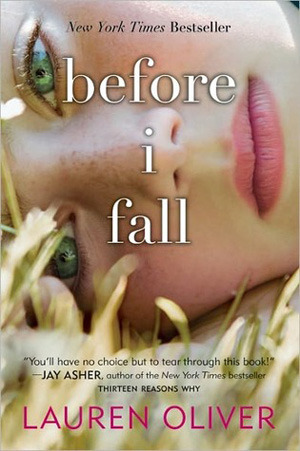 This post was "books from the last decade"
Bent wrote: "Eleanor and Park and The Fault In Our Stars boih good books I can recomend. By the way, I resent the genres name. I'm 70 for goodness sake!" Yeah and because of the name of this genre (which isn't a genre per se, just a recommended min. age), the books here get a bad rap. I wish they would change it to 'suitable for YA' or 'YA+'. Some these books are spectacular, like the "The Hate U Give". 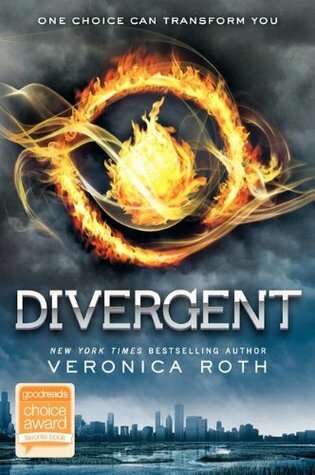 The divergent series is one of the best series I've read. Ziggy wrote: "Out of curiousity, how does one vote on such a list? I find the books here applaudable sure, but very slanted in terms of preference. I would have thought the amazing 'Gone' series by Michael Grant..."
I believe these are winners of their Goodreads Choice Awards which they put out every year. What about Girl Made of Stars or Thirteen Reasons Why? Just recently read both of them, and they were really good. I agree of SJM books and Shadowhunter novels. They were AWESOME!! 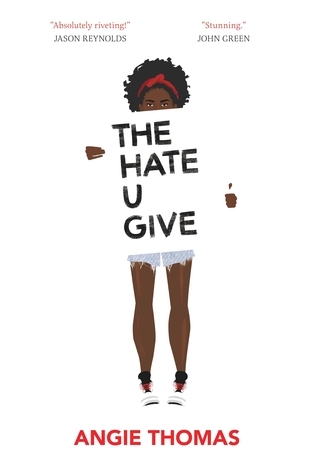 Also agree on The Hate U Give. I can't wait until the movie comes out! Absolutely! I listened to both books on audio and Jayne Entwhistle did a fabulous job narrating. Looking at this list and the one for the lower age bracket I'm wondering if it's time to start excluding sequels from the vote. 7 of 10 listed are from series and are bound to get more votes. They are highly promoted upon release, also more people read them because they read the others. Or given the prevalence of series at YA level add another YA category for best series (for sequels but not first books). I agree with the comment about sequels and series. And I'd like to nominate Daughter of Smoke and Bone - when there's a series list! LOVED that series! Could read it again and AGAIN! I’m disappointed that fangirl is not on here but Eleanor and park is... I felt like fangirl was much better. 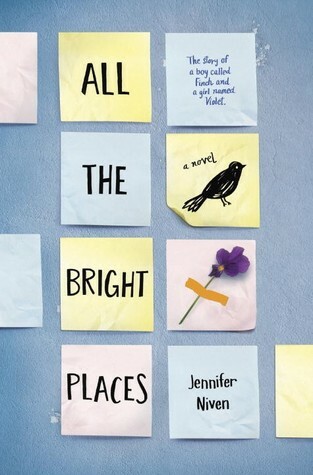 Nouha wrote: "we were liars is sooo overrated"
Jo wrote: "Loved Hate You Give, insightful, devastating & hopeful"
All The Bright Places is a beautifully sad, well executed story that every middle/high school student should be required to read! Great anti-bullying/mental health message to all! Love that book too but technically it's MG not YA! That's a good one but it's definitely middle grade, not YA. I’ve read eleven of them, starring Katniss, Tris, Hazel, Violet, Aelin, Feyre, and Starr. The Gentleman's Guide to Vice and Virtue should be on this list. Even though it's not as popular as these ones, it's still equally good. 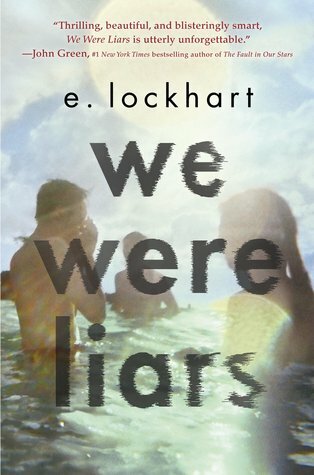 We were liars is a must read. Love so many on this list! One author is missing though..where is Jamie McGuire at? Rosie wrote: "I'm really surprised by how many of these I've read. Although it makes sense I guess, I am a big YA fan. The only ones I've never heard of are Before I Fall and Along for the Ride. I must remember ..."
Cinder definitely should’ve been in this list. I loved the list they put together and have read almost all the books and thought they were amaicng but Cinder outrules them all. The Lunar Chronicles definitely should’ve Kadence the list. They are amazing YA fiction.